Kevin McCulloch, owner of the property, and John Olinsky, owner of the equipment used, pleaded guilty to unlawfully dredging and filling shore lands without a work permit. McCulloch was fined $1,500 under the Public Lands Act and issued a court order to restore the site to its natural state. Olinsky was fined $500. Court heard that in October 2012, McCulloch contacted Olinsky and hired him to dredge the shoreline of his property to create a large berm that extended into the water. 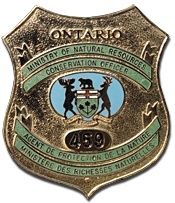 ← Fines And Bans For Moose Hunting Licence Violations.